The turtle experiment as it has become known was the brainchild of two eminent Wall Street traders. You’ve seen the movie Trading Places? This is the real-life version of it. What makes the turtle experiment unique is that the selectees didn’t go through any sort of lengthy training program. Neither were they mentored by experienced traders. Instead they were simply given a rule book. The “turtles” were told to follow their rules to the letter. They were then given the authority to trade with the company’s own money. Did the experiment work? Yes and no. Many of the turtles failed early on. A few succeeded and went on to become successful traders in their own right. The turtles that did drop out were those who couldn’t or wouldn’t stick to the program. The turtle’s rule book has been available for anyone to download for some years now. The insights from the experiment can teach us many valuable lessons. It tells us of the importance of having a system, of having confidence in the system, and in management of risk. So let’s look the turtle’s system in more detail. The turtle’s were trend followers. They used a system trends + breakouts. The system works on daily chart movements and channel breakouts and is designed to follow market momentum. That is to buy strength and sell weakness. A breakout triggers the trade entry and the turtle would then keep the position open for as long as the trend remained strong. A turtle would enter long on an upside breakout. Or enter short on a downside break. The strength of the breakout was a key aspect of the system. We’ll look at that in a moment. The turtles used two forms of this trend + breakout system. The first was a short term 20-day pattern and the second a long term 55-day pattern. The turtles would go long or short whenever a breakout condition arose as long as it didn’t exceed their overall risk allowance. This could mean entering the market on an intraday break or at any time when the price gapped over one of their breakout levels. The first entry triggers when the price breaks out of a 20-day price range. But this wouldn’t necessarily result in a trade. A 20-day breakout entry was only made if the previous breakout failed; whether or not it was traded upon. If a long or short breakout failed – because the price moved back into the range, the next breakout would be weighted with a higher probability of succeeding. This is a contrarian rule because the crowd would presumably be expecting the same thing to happen again. The larger market trends were traded with a similar 55-day high/low breakout pattern when the price moved out of the 55-day’s range. The difference was that the turtles would always trade the 55-day breakout pattern. Irrespective of whether the previous 55-day breakout failed or succeeded. Thus the turtle’s system is both a trend follower and a breakout strategy. The 20-day breakout entry meant that the turtles had a high chance of getting in at the early stages of new trends and building the position from the lows. The 55-day breakout which was always taken meant that the turtles still had a chance of capturing major trends, even if they missed an early entry with the 20-day breakout rule. When the turtles traded, they opened the position with one “risk unit”. It was then accumulated in equal units depending on which way the trend moved. If it moved in the expected direction the position size was increased up to the limit. The turtle’s definition of “risk units” is a central part of how the system works. We’ll cover that next. The turtles used a simple yet highly effect method for risk management. It was an absolutely integral part of their trading rule book. The rules stated that they had to choose the correct position size for the market in dollar terms. They always did this based on two factors; volatility and limiting exposure to their account. 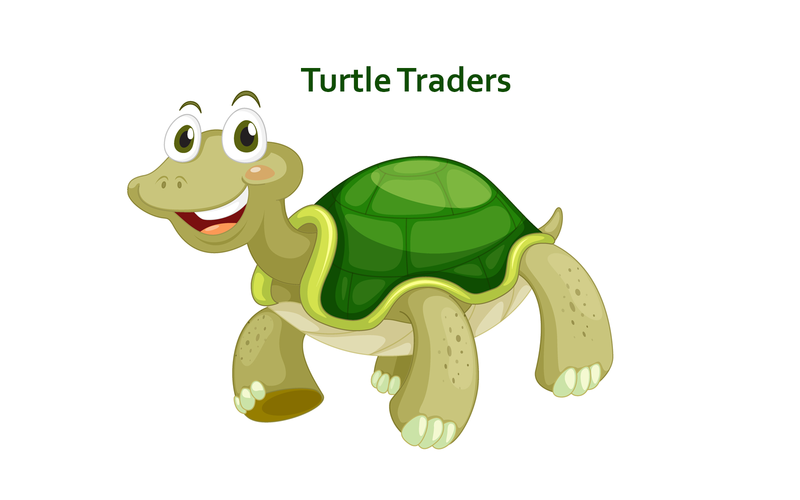 The advantage of the turtle’s risk management system is that it equalized the exposure of each trade. That meant that each had a roughly equal risk weighting in dollar terms or whichever currency the account is held in. It also meant that each position could be grown or reduced in equal increments of known risk – “risk units”. The turtle’s method was based on a factor known as N, which is obtained readily from the ATR indicator (Average True Range). As an example, for today the currency pair GBP/USD has N=0.0090. which means the average daily dollar movement for one contract of GBP/USD will be $9. If the quote currency is not US dollars, then the amount has to be converted into US dollars (or the account currency if in dollars). The DV (dollar volatility) was then used to allocate an actual percentage of the account. In this way the turtles always sized positions using equal “risk slices” known as units. One unit represented 1% of risk. For example with an account of $10000, that means that one unit has a monetary value $100. So when trading GBP/USD the turtle system would trade in multiples of 11 contracts for this account size. Each of these 11 contracts represented one unit of risk. This way, the turtle’s knew that regardless of the market traded, each unit would always be equal to the same amount of risk. What this did is force them to adhere to sizing so they didn’t over expose the account. They were encouraged to think in risk units. This also made sure that trades on less volatile markets contributed an equal amount to profit if the trend worked out as expected. Turtles grew positions while conditions were right. They were allowed to grow the position up to a maximum allocated risk. Rather than using arbitrary measures such as points or pips, the decision on whether to increase or decrease the position size was always based on how much the market moved from the entry price. This was relative to its volatility; using N as a unit measure of movement again. A position was grown in increments or half increments of N or ½ N.
The reference point is always the actual fill price. So these entry prices would be adjusted up or down if the fill price of any order slipped. This allocation system forced the turtles to follow strict diversification and risk management. The turtles didn’t even need to understand the reasons behind these limits. Provided they followed the rules, the turtles were unlikely to overexpose their account and run up serious losses. The key to the turtle’s risk management is being able to diversify properly by spreading risk. The turtles were encouraged to spread their holdings across different markets to increase diversification. In this way they built up positions while still adhering to strict risk controls. For example they could trade 4 units in a single market but up to 10 units across loosely correlated markets. They also had overall limits on the number of long/short contracts that could be held. When the turtles had multiple entry signals from their markets of interest, they would trade according to the strength of the signal up until their total allocation was reached. Turtles were required to trade markets with high liquidity. One of the reasons for this was so that their trading activity did not move the market in which they were trading to any degree. It also meant they could get into and out of a position easily and quickly. The turtle’s rules on stop losses were strict. They were to exit the trade whenever their predetermined exit prices were met. This meant they avoided carrying losing trades and holding out in the hope that the market might turn around. As with increasing the position, reducing the position was also based on N, the market’s volatility. The original turtles used a 2% rule to limit risk on any single trade. If the position moved against them by more than 2 x N, then it was always closed. That means for a long position on GBP/USD opened at 1.3000 with N=0.0090. The maximum loss in dollars is 2 x DV x Unit size which works out at $198. As our example account has $10000 equity this would be safely below the 2% mark. The turtles also used trailing stop losses. If the market moved in their direction the stops of the earlier added units would be raised. This was done to keep the stop for the average entry price constant at 2 x N (2% of risk) irrespective of the size. The turtle rules stated that they should stay in the market as long as the trend was going in their direction. In true turtle fashion, rather than trusting gut instincts, they did this in a very mechanical way. The position sizing rules enforced trend following because the turtles would automatically accumulate units as the trend moved in their direction. Eventually all trends come to an end and the turtles had a rule taking profits. For the 20-day breakout pattern, the profit on a long position was taken when the price made a new 10-day low. Or for a short position the price needed to touch a new 10-day high. For the 55-day breakout, profit was taken when the price reached a 20-day low/high. Turtles were required to stick to the exit rules steadfastly; even if it resulted in profits disappearing. If the winning trades weren’t allowed to run, the turtle system would not have been profitable over time. 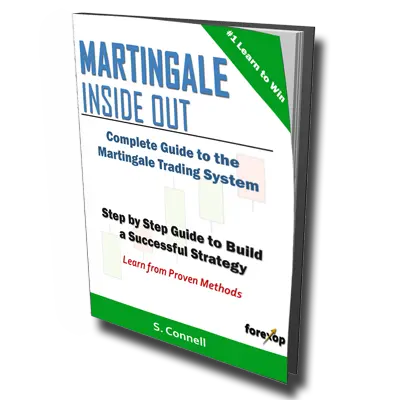 In a breakout system the winners need to be significantly bigger than the losers because many of the breakouts won’t progress into new trends. Those trades that do run will produce the bulk of the profits. The turtles were instructed to avoid placing market orders. They were taught to use limit orders instead. A limit order means that the order will fill at a price better than the current market price. In doing this the turtles avoided hitting random price spikes or bounces which can occur when accepting an order at the market price. Limit orders also require more discipline by enforcing a certain amount of self-control. With market orders there’s always a temptation to hit the button when the market appears to be moving without you. Using limit orders can reduce the spread as well. Because the turtles were trend + breakout traders, the spread would often widen in the direction they wanted to trade. Placing limit orders allowed them to enter on the pullbacks and in doing so gain a lower spread and better fill price at the same time. From the start it was known that many of the turtles wouldn’t follow these rules. Some didn’t have confidence that the system would work in the long run. Others thought the whole thing was simply a game. But that was expected and was part of the experiment. Trading is a psychological challenge as well as a technical one. Whether the rules are executed by a human or a piece of software doesn’t really matter. The mental challenges we face are still there. The turtle case study proved that it is not so much the validity of one rule system over another; it’s the importance of having a system and sticking to it.